— Jeb Bush commenting on the state of his candidacy. In a year when a majority of the Republican electorate – xenophobic and angry – fixates on the fanciful notion that political inexperience presents the only sure path back to the White House, it should have been obvious that the immigration reform embracing, “low energy” former governor of Florida, the consummate insider in an outsiders race, would be doomed. Even popular culture seems to be conspiring against Bush. Truth, a glossy big screen “serious movie” starring Robert Redford as Dan Rather and Cate Blanchett as his CBS ’60 Minutes” producer, revisits the controversial story of brother W’s National Guard service in the Vietnam era. Reviews of Truth have been all over the map with many negative, but the film will still remind voters in both parties, not to mention the scribbling class, of Bush 43’s checkered presidency, as well as that whole entitlement thing at the moment brother Jeb would rather talk about, well, anything else. George W. Bush in the Texas Air National Guard, 1968 – 1973. Donald Trump “emasculates” Jeb for his lack of passion and mocks him as the candidate of “mommy and daddy,” while delightedly reminding everyone that the last Bush was a YUGE disaster. Perhaps Jeb is destined to be his generation’s Robert Taft, the conservative scion of that famous American political family who was forever the bride’s maid, never the bride, always the pretender who never completely excited fellow Republicans. Every campaign manager’s not-so-secret wish is that their candidate gets better over the course of a race. A slow start can often be overcome in a long race if the candidate gets steadily better. Bush started his campaign slowly and seems to have gotten more inept as the Iowa caucus approaches. His smack down by Marco Rubio in the most recent Republican debate has been widely seen as Jeb’s Waterloo. Amid the Bush death notices since CNBC set a new standard for political debate incoherence, few beyond the Beltway took much notice of the curious story of “the leak” of the details of Bush’s entire campaign strategy. Somehow a 112-page PowerPoint document detailing the Bush campaign’s line of attack on fellow Floridian Rubio, as well as internal polling information and plans for advertising ended up in the “in box” of David Catanese, the senior politics writer for U.S. News & World Report. There are only two realistic explanations for the “leak.” It was either an enormous mistake on the part of a crashing campaign that hit the “send” key without thinking, or more likely it was a well-timed effort to inform the Super PAC supporting Bush (under our crazy system the PAC and the campaign can’t legally communicate or coordinate efforts) of Bush’s strategy over the next couple of months. By the way, that Bush Super PAC is still sitting on $100 million that it can use to jumpstart the “Bush comeback” storyline. Maybe in this deranged campaign season that has seen the old, tried and true political playbook shredded, a cool $100 million doesn’t buy you love in Iowa or New Hampshire, but it can buy a lot of television time and that is going to be better than fighting over debate moderators. Bush, on life support or already dead, has performed one statesmanlike service to the party that for the most part seems hardly able to tolerate his existence. Reading that dense PowerPoint details the Bush fixation on Rubio, the young protégé who now threatens to eclipse the one-time mentor. It’s a story line out of Shakespeare and, while Bush waits like the New York Mets for the “break” that may never come, Rubio’s moment may have now arrived and for the young senator that may mean peaking too soon. There is hardly a more poisonous charge than comparing a fellow Republican to the hated Obama and that line of attack, had it been employed by a more skillful candidate in the recent debate, might have had impact among GOP primary voters. At the least, Bush’s Super PAC now knows the talking points for Iowa as Rubio, who has flown below the radar for much of the pre-primary season, finally gets vetted in earnest. If Bush can’t have the nomination he seems hell bent on making sure that Rubio won’t either. Still, I’m in a small universe of observers who says of Jeb – not to fast. Say what you will about the white shoe, old-line establishment Bush Dynasty, like the lowbrow Duck Dynasty, it has staying power, even in re-runs. Patrician “Poppy” Bush somehow navigated his way through the Watergate implosion – he was party chairman during Nixon’s final fall – then sought the presidency, lost and settled for the second spot, which positioned him to serve Ronald Reagan’s third term. The elder Bush was never a great campaigner – remember Big Mo – but he made up for it with dogged determination and an ability, well hidden behind the nice guy demeanor, to go for the political throat. George H.W. finally met his match when tangling with the founder of the Clinton Dynasty. Son George W was more disciplined and determined than he’s given credit for and somehow won two national elections (or stole them) that a lesser candidate might have blown. W had his old man’s facility for destroying an opponent, including the sleazy takedown of John McCain in the South Carolina primary in 2000, still one of the most vicious political hits in modern times, or the Swift Boating of legit war hero John Kerry in 2004. All of which is another way of saying: get ready for the “Bush Rebounds” stories. You heard it hear first. In the enormously fractured modern Republican Party anything is now possible. The favored son of the dynasty may not have what father and brother possessed, including the instinct to Swift Boat opponents, but a guy with a $100 million Super PAC and 100 percent name ID may yet have the staying power to outlast this completely crazy cast of contenders. Jeb Bush has been a perfectly awful candidate so far, but even the Mets, dead at mid-season, made it to the World Series. When everything is crazy anything is possible. Conventional political wisdom holds – we all know how “conventional” the current campaign has become – that Bernie Sanders has no (nadda, zip, zero) chance of becoming the Democratic nominee for president, let alone reaching the Oval Office. Unthinkable, the Beltway Gasbags say, that the former mayor of the People’s Republic of Burlington wins, even though Vermonters have been sending him to Washington since 1991. Sanders must then be doomed by his age? He is 74-years old. Or maybe it’s his unruly shock of white hair that looks like it was styled in a wind tunnel. Maybe he’s too Jewish. Maybe its because he comes from Vermont, a small, weirdly shaped state that unless you are from New Hampshire (or Canada), most Americans couldn’t find on a map. Or perhaps it’s the native New Yawker in Sanders, who sounds like a Big Apple cab driver, well at least he sounds like the kind of cab driver New York had before all New York cab drivers started sounding like they grew up in Somalia or Pakistan. Maybe Sanders’ positions on the issues will disqualify him, even though a good number of polls indicate that many, many Americans agree with Sanders’ call to deal with income inequality and educate young people without saddling them with a lifetime of tuition debt. None of his apparent political shortcomings – age, hair style, positions – fully explains why Sanders has a “he can’t be elected” problem. His real problem is the “S” word – he’s a s-o-c-i-a-l-i-s-t.
Actually, Bernie describes himself as a “democratic socialist,” which in real life – and in Europe and Canada – means he believes in the democratic political process – things like elections, representative government, trying to convince others to agree with you. But, he also believes the system is too often rigged to leave out the little guy. What a radical idea. He’s actually been very consistently saying this for, like, 40 years. Still, in our politics describing yourself as a “democratic socialist” is a little like being convicted of child abuse while reading Chairman Mao’s Little Red Book. It is the kiss of political death this socialism. But why? Why has only the United States among the rest of the world’s industrial and, yes democratic societies, never had a particularly serious socialist political movement? Canada, France, Great Britain, Denmark, Sweden, on and on have a 20th Century tradition of what Sanders calls democratic socialism, but not the United States. But before we lock up the women and children and worry about nationalizing the railroads, let’s consider what Sanders (and others of similar ilk) have actually said and done over the course of American history and why the term and the idea have become such political kryptonite. In their book It Didn’t Happen Here – Why Socialism Failed in the United States authors Seymour Martin Lipset and Gary Marks observe that an American “working class party,” with a foundation of trade union members, never caught on in the U.S. precisely because what social democrats offer is what many Americans already believe they have – “a democratic, socially classless, anti-elitist society.” The authors call it Americanism. In essence, although most Americans would never say it this way, we have long embraced a political philosophy – Americanism, if you will – that is wrapped up in our aspirations, our myths, and our ideas of exceptionalism. Americanism is also deeply rooted in our notion that our political system is in no way separate from free market capitalism and that by extension, capitalism translates to “a democratic, socially classless, anti-elitist” society. As a result, when a political candidate suggests that capitalism might not be the complete answer to American issues like wide spread poverty, racial or class inequality or, just to mention one of Sanders’ key issues, making certain every young person who wants a higher education gets one. For most of the 20th Century the Americanism equals capitalism construct has defined American politics. To suggest that capitalism might not be the answer to every one of society’s issues has been a good way to get branded with, well, the socialist label. Suggest that the really wealthy need to pay a greater share of taxes because, well, they can afford to do so and you are guilty of “class warfare,” the ugly twin of socialism. But it wasn’t always so. Once the Sanders’ notion of “democratic socialism” was seen as a legitimate alternative to the policy prescriptions of conservative Republicans and more left of center Democrats. In the election of 1912, one of the most interesting, complicated, and important presidential elections in our history, four major candidates sought the White House. Two of the contenders – Theodore Roosevelt, running on the Bull Moose ticket, and the election winner, Democrat Woodrow Wilson – were certainly not socialists, but did advocate a robust form of progressive politics that included sweeping attacks on the excesses of big business, support for organized labor, and improvements in the lives and economic conditions of working Americans. A third candidate, incumbent Republican President William Howard Taft, was a kind of “establishment Republican” of his day and ours. Taft would not be out of place or uncomfortable in the modern Republican Party of John Boehner or Jeb Bush. Taft was a candidate embraced by big business, a big man with little interest in the kind of “activist” presidency that Roosevelt or Wilson personified. The fourth major candidate in 1912 was a socialist – Eugene Victor Debs, an Indiana-born, railroad union leader who ran for president five different times. Debs captured nearly a million of the 15 million votes cast in 1912 – his issues then were essentially Sanders’ issues now – and that election proved to be the high water mark of American socialism. Eight years later Debs was running for president again, but this time from behind the bars of the federal penitentiary in Atlanta where he was doing time for speaking against U.S. involvement in the Great War, a victim of the era’s hysteria about “radicals” who dared to veer from conventional ideas about American patriotism. Little surprise that as a young fellow Bernie Sanders produced a documentary on Eugene Debs. In his fascinating history of the Socialist Party in America, historian Jack Ross details the number of elected officials in the country who were elected on a Socialist ticket, most of them at time Eugene Debs was the American face of socialism. Ross’s list makes for interesting reading. In the first two decades of the 20th Century, hundreds of Socialists were elected to city councils, as mayors, and state legislators in nearly every state. Wisconsin – take that Scott Walker – elected literally hundreds of Socialists and Milwaukee had a Socialist mayor nearly continuously from 1910 to 1960. One of those mayors, Daniel Hoan, served from 1916-1940 and another, Frank Zeidler, from 1948-1960. These so called “sewer socialists” sounded a good deal like Bernie Sanders in their demands for greater focus on the needs of the working class and they governed well, providing efficient and effective city governments. They would not have been re-elected time and again had they not been good at the nuts and bolts of governing and a good place to look for evidence of Sanders’ version of democratic socialism is his time as a small town mayor. Butte and Anaconda, Montana had Socialist mayors before the Great War. Socialists were elected as county clerk and sheriff in Minidoka County, Idaho in the same period, a place where no Democrat has been elected in decades. The city of Sisseton, South Dakota had a Socialist mayor and Nebraska elected a Socialist to the state board of regents. But no more. 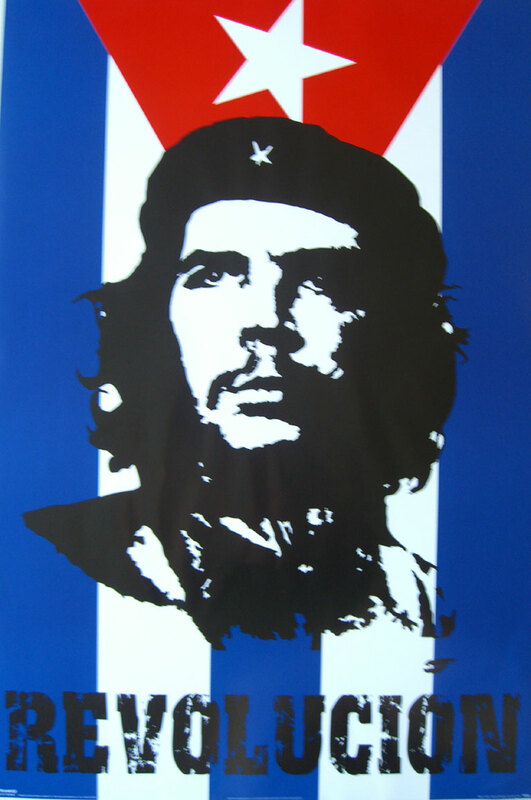 With the exception of the owners of a few Che Guevara posters leftover from the 1960’s, American socialists are about as prevalent today – and relevant – as, well, Che Guevara. My own theory as to why the socialist philosophy failed to gain greater political traction in the United States relates to the aggressive and very effective demonization of American socialists that began in the post-Civil War era, accelerated during the Red Scare of the 1920’s, climaxed with Joe McCarthy in the 1950’s, and has remained a key fixture of conservative political rhetoric ever since. The steady branding of “socialism” as far outside the American mainstream, combined with the conflating of “democratic socialism” with Soviet communism sealed the political fate of the heirs of Eugene V. Debs. In post-World War I America, the Palmer Raids, initiated by the attorney general in a Democratic administration, rounded up thousands of “radicals,” many of them immigrants, and hundreds were deported because of their alleged leftist or un-American attitudes. America suffered a “red scare” that tended to feature more violations of civil liberties than any real threat to national security. Congressional committees and J. Edgar Hoover’s FBI later lavished attention on leftists in Hollywood, the media, and in government. Increasingly little if any distinction was made between “democratic socialists” and communists, even though you can plausibly argue that anti-communism (and anti-socialism), with all its excesses, has been a far more powerful force in American politics than any theory advanced by Karl Marx. Joe McCarthy’s “red baiting” in the early 1950’s briefly made him the most feared and loathed man in the country and his reckless methods destroyed careers and reputations. Every Democratic president since Franklin Roosevelt has been called a socialist or a communist by someone on the political right. Roosevelt, a New York multi-millionaire, was no socialist and, ironically, may have actually saved the country – and American capitalism – from moving to a radical leftist place during the Great Depression. Still the far right, even now, laments the “socialist” agenda of the New Deal. Roosevelt did accomplish some radical change – massive spending on public works, breaking up the huge and often corrupt utility holding companies, creating an old-age pension program that has proven to be kind of popular ever sense – and FDR did try to implement large scale planning of the economy with the National Industrial Recovery Act. The Supreme Court told him no. I love the story of Roosevelt’s Labor Secretary Frances Perkins testifying before Congress on the legislation we now call Social Security. A skeptical senator, probing for the Achilles heel of the idea that the government might create actually create a program we all pay into in order to provide a degree of security for all of us in old age, pressed Ms. Perkins: “Isn’t this just a tiny bit of socialism,” the senator asked. No, she replied, it isn’t. After World War II and into the Cold War, Harry Truman, in so many ways an exemplary president and person, instituted “loyalty oaths” to root out communists (who now interchangeably were also called socialists), state legislatures debated the so-called “Liberty Amendment” to the Constitution in the interest of making America more American, the John Birch Society equated American political liberalism with Stalinist communism, and we fought a war in Southeast Asia designed to stop the insidious expansion of the socialist/communist ideology. Richard Nixon owed his national profile while still a very junior member of Congress to his pursuit of Alger Hiss, one of the few people from the 1950’s who actually did have questionable allegiance to his country. Nixon, according to his most recent biographer, clung to the memory of his victory over Hiss, ironically, all the way to détente with Moscow and his historic opening to China. As for that horrid war, Lyndon Johnson, in part, thought he could not stop it for fear of Democrats being labeled soft on communism. Today, of course, Vietnam, still a communist country last I checked, is one of the United States’ top trading partners. You can write your own 21st Century sentence about what we used to call “Red” China, and as you do, remember that the Chinese president recently dined at the White House with the CEO’s of Microsoft, MasterCard, Netflix, Oracle, Walt Disney, and Morgan Stanley – socialists all, I’m sure. Bernie Sanders probably won’t be president and you didn’t hear it here first, but like many democratic socialists in America’s past – from Debs to Norman Thomas, one of the most impressive Americans of the last century, to Michael Herrington to the old mayors of Milwaukee – his ideas have relevance and, if you listen closely, contain an important message about what America says it is, but has not yet fully become. None of these socialists advocated or even privately believed, Sanders included, in violent revolution or the kind of reprehensible system Stalin built in Soviet Russia. They believed in using the tools of democracy, including persuasion and elections, to bring about societal and political change. But, given our often-tenuous grasp of our own history, not to mention inability to consider nuance, that message gets lost, while the label – “he’s a socialist-slash-communist” – stings and sticks. It has long been un-American to embrace such language – the workers versus the governing class – but in an age when the super wealthy and super powerful at the very top of our social order display, as historian Jack Ross has written, the “worst features of both Petrograd and the Gilded Age,” the guy who will not win is making lots of noise and lots of people, including many younger Americans, judging by the polls, are listening. Bernie Sanders may not get to the White House, but he may convince a new generation of Americans – a generation sick and tired of too much money in politics, too much power in too few hands, and too little hope for a shrinking middle class – to think seriously about what that dreaded word – socialism – might really be all about. John Boehner on Face the Nation. It’s hard not to feel some sympathy for John Boehner who served notice last week that he’ll step down in a few weeks from what used to be the second most powerful job in Washington. Boehner always seemed ill cast in the role of shrill partisan. By most accounts Boehner actually thought, unlike the 40 or 50 ultra-right wingers in his caucus that members of Congress are sent to Washington legislate. You remember legislating? Stuff like passing an annual budget – the fundamental business of the legislative branch – to actually fund the government. Rather Boehner’s House has lurched from one “continuing resolution” to another, from one government shutdown over the latest nutty cause or the latest spiteful desire to put the president in his place. Boehner’s House, with the largest Republican majority since Herbert Hoover was in the White House, can’t pass a budget, but did vote, unsuccessfully of course, to repeal Obamacare more than 50 times. You get the feeling that Boehner’s tenure as Speaker of the House has been akin to the frisky dog that chased the car and caught it. Once Boehner grabbed the gavel from Nancy Pelosi he was mostly focused on trying to keep it by placating the reactionaries in his own party. But placating is not leading and Boehner will ultimately be remembered, I suspect, as a political non-entity from Ohio who somehow became an ineffective, indeed disastrous non-leader. The American Enterprise Institute’s Norm Ornstein has it right that Boehner and other Republicans who might actually like to engaging in using their majority to govern have been caught between the angry forces of the grassroots and political reality. “It was inevitable that these two forces—radicals flexing their muscles, demanding war against Obama from their congressional foxholes, and leaders realizing that a hard line was a fool’s errand—would collide violently,” Ornstein writes in The Atlantic. In other words, Boehner’s demise has been building steadily since the day he first gripped the big gavel and, while a certain sympathy for the soon-to-be former Speaker is in order, it’s also worth nothing that he – and other Republicans who know better – generally went along with the increasingly strident agenda of their most angry brethren. The silliness of Donald Trump completely nonsensical agenda – read the transcript of his recent ’60 Minutes’ interview or try to make sense of his crazy tax plan – didn’t spring, Zeus-like, from his orange head. Like Trump, Ted Cruz, who Boehner now calls “a jackass,” is a product of the anger and irrationality that many Republican “leaders” allowed to fester among the grassroots, the modern descendants of the “Movement Conservatives,” the Goldwaterites and John Birchers who 50 years ago steered the Grand Old Party off a grand old cliff. The process that led to John Boehner’s decision to quit was actually set in motion on the evening of January 20, 2009 – Barack Obama’s first day in office – when a core group of radical Republicans met in the back room of a D.C. steakhouse and decided that their guiding principle would be implacable opposition to everything that the new president proposed. “The room was filled. It was a who’s who of ranking members who had at one point been committee chairmen, or in the majority, who now wondered out loud whether they were in the permanent minority,” Republican pollster Frank Luntz, who organized the event, told the PBS documentary series FRONTLINE. Among those in attendance at this pivotal meeting: Senate power brokers and Tea Party darlings Jim DeMint, Jon Kyl and Tom Coburn, and conservative congressmen Eric Cantor, Kevin McCarthy and Paul Ryan. McCarthy, of course, is the odds on favorite to replace Boehner as speaker and Ryan, the only other member of that group still in Congress, perhaps very wisely decided not to seek the top job in the House. The liberal writer David Corn quips that even Frank Underwood, Kevin Spacey’s fictional, nasty and scheming congressman in the series “House of Cards,” would take a pass on the job of succeeding John Boehner. The slash and burn strategy hatched by the Republican anti-Obama caucus in January 2009 worked like a charm to create Republican majorities in both houses of Congress, but at what cost? Well, for starters it cost Boehner his job and helped fuel the anger that has given the Republican Party a clownish real estate developer as its front runner and – I can’t believe I’m writing this – quite possibly its presidential candidate. One wonders how the fortunes of the country and the GOP might be different had Speaker Boehner back in January 2009 asserted himself against the “no on everything all the time” caucus in his own party. What if Boehner, the golfer who likes to make a deal, had sought a politics of substance and collaboration with the new president? What might have been different if Boehner, the insider who had once worked with Ted Kennedy to pass “No Child Left Behind” had called out the “false prophets” in his own party from day one? We’ll never know how things might have been different had Congressional Republicans decided to legislate around substance rather than agitate the grassroots through anger. What might have happened if Boehner had reached for a middle ground on health care, the stimulus and so much else rather than buying into the Tea Party mantra that the only way to deal with Obama was to consider him an unworthy pretender? This much is certain: despite the hard right’s best efforts Obama’s agenda has mostly survived and Boehner and other “responsible” Republicans are tossing and turning at night thinking about a substance free demagogue like Trump or Cruz, both products of the GOP base that loathes Boehner and his Senate counterpart McConnell nearly as much as it hates Obama, leading their party into the next presidential election. Leadership requires, after all, setting real expectations and occasionally calling a halt to the politics of constantly whipping up a fact free frenzy. In the end John Boehner will take his permanent tan, his cigarettes, his Merlot and his golf clubs off to a K Street lobby shop and Kevin McCarthy or some other poor soul will be left to try and clean up the mess he has left behind. In order to get the job now, of course, McCarthy must promise to give the radicals in his caucus even more deference. Ironically, Boehner’s finest moment of leadership may have been his decision to quit and at least temporarily end the threat of yet another government shutdown. But every sixth grader knows you can’t endlessly appease unreasonable bullies. You have to beat them. The political reality of John Boehner is that he couldn’t figure out how to win – and ultimately how to govern. His only answer, and even then short term, was to quit. As Norm Ornstein say, “In the new tribal world of radical politics, the first constitutional office has lost its luster” and that, unfortunately, will be Speaker Boehner’s legacy. It is said that without leadership the people perish. John Boehner has now given that old notion a new twist: Without leadership the leaders perish, too. The heart of Trump’s appeal to the ebbing and flowing 30-some percent of Republican voters who have kept him on top of the polls is – there is no nice way to say this – racist. Trump’s campaign, not unlike the manifestos of European right-wing nationalist parties in Great Britain, France, Sweden and elsewhere, is based on controlling immigration. The European versions are frequently described as “nationalist” or even “neo-fascist,” but we’re too polite to label our home-grown political hatred with such loaded terms, even if they apply. Trump, ignorant about so much of the American experience, may think he is on to something new with his anti-immigrant rants, but in fact he is a late, late comer to the cause of hate for those “different” than the rest of us. Trump’s xenophobia is as old, in other words, as the man’s huckstering manner. His appeal to a third of the GOP electorate masquerades under the cloak of an independent outsider, a non-politician, the guy who “tells it like it is,” but Trump is really just peddling the kind of hate that sadly has always coursed through the political DNA of a certain number of American voters. Never forget that The Donald’s rise as a political figure was originally built almost exclusively on his demands that Barack Obama produce proof that he wasn’t born a foreigner. Recent opinion polls continue to confirm that significant numbers of Republican primary voters, despite all evidence, continue to believe this nonsense. Trump’s “birther” credentials really imploded long ago, mostly thanks to Obama’s masterful put down of the clown at a famous White House Correspondents dinner in 2011, but his resentment still boils. The New Yorker’s Adam Gopnik recently recounted Trump’s reaction – you can watch Obama peal the hide off the bloviator-in-chief here – as he observed from a few tables away at that 2011 dinner. Gopnik speculates, not unreasonably, that Trump’s decision to run for president was cemented the night that the upstart “foreign” Obama made him look like the fool he has long been. Just for the record: Barack Obama is not a Kenyan, children born in America are citizens and have been since the Fourteenth Amendment to the Constitution was adopted in 1868, Mexico is not a threat to the United States, we are not the “dumping ground for the world,” China isn’t killing us and the United States really is a nation of immigrants. Occam’s razor advises us to adopt the simplest theory when attempting to explain a phenomenon or, as the great physicist says, cut out all the features that cannot be observed and believe what you can see and hear. Seeing and hearing Trump leaves us with a contemporary, touched up, blow dried version of an anti-Irish, or anti-Catholic, or anti-Black, or anti-Chinese hater that has always found a place and some following in our politics. The overwhelmingly white, older, angry Americans who find Donald Trump appealing shouldn’t be immediately cast off as misguided or hateful, but they are of a piece with their earlier American cousins. They have warmed to a man whose rise has depended on a message of hate against a certain class of people, which in turn has stoked fear among another certain class of people. It’s an old and despicable tactic updated to the age of Twitter and YouTube. The fact that the race baiting engaged in by Trump and others on the GOP debate stage will make it next to impossible for Republicans to compete in a national election is well known to most of the party’s dwindling caucus of reasonableness, but the party remains a victim of its often xenophobia base, which has come to dislike moderate talk of immigration reform almost as much as it dislikes the Kenyan Muslim in the White House. What Trump has done is neither new, nor even particularly inventive in a nation that is on the cusp of having a majority of residents who are people of color and fewer of those angry white folks like Trump. The one thing that is very American about Trump is that he has tapped into the racial resentment, indeed the hatred that has been part of American politics since the beginning. Question in August 20 Quinnipiac Poll of voters in Ohio, Florida and Pennsylvania. Only one in three voters in these key “swing” state said “yes” that Clinton was honest and trustworthy. The Summer of Trump has also been the Summer of the Server – Hillary’s server. The Democratic frontrunner and heir apparent has essentially squandered a long summer than might have been spent creating feel good moments of connection with voters from Portsmouth to Portland. Instead she – and we – have endured the steady drip, drip, drip of detail about her still unfathomable and still unexplained decision to use a private, non-governmental email server while she served as secretary of state. The drip, drip, drip – it’s like a faucet that makes a noise in the night keeping you awake – is going to continue into the fall and beyond. Hillary has seen to that. I try to spend as little of my time as possible thinking about email servers. I prefer to think about the baseball season, the next book I’m reading or red wine from Burgundy, but nonetheless I’ve been doing my share of server maintenance, thank you very much. I’ve concluded I’m less troubled by the allegations that some obscure, but classified State Department memo from our embassy in Djibouti ended up unprotected on Clinton’s server than I am about what the entire tiresome episode says about Hillary’s judgment. It speaks volumes. When Americans eventually get around to entering the privacy of the voting booth more than a year from now they’ll face a stark choice for president between two inevitably flawed human beings. Elections almost always come down to two less-than-perfect choices. Hillary Clinton may well be one of the choices and in the privacy of that polling place we’ll do the mental math on whether we are more comfortable with her, her history, her experience, her positions and, yes, her judgment than we are with this guy Jeb or Walker, Carson or, urgh Trump, or maybe someone else. In the private deliberations that constitute the most personal aspects of the democratic process, we’ll decide which of the candidates we will be most comfortable with for the next four years. It’s always a bit of crapshoot. I think most of us make these decisions based on fundamental questions that we regularly apply to people we encounter in our daily lives. When we pull the lever or punch the ticket we want a sense that we can trust the president of the United States not to be stupid, or rash, or so removed from us and our lives that the most powerful person in the world simply can’t relate. In other words, we really want a president we can trust. Which brings me back to that private email server. The fundamental questions about the Summer of the Server still hang in the air, including most importantly why? Why did she do it? Why go to all the trouble to circumvent the State Department’s own email system? Why hire your own people to manage that decision and then purge the emails not deemed “official.” Why? Why? Why? And why, when it all began blowing up, why not deal with it forthrightly and candidly? Clinton’s belated explanation – really more a discussion than an explanation – of the computer decision was that she wished she would have done it differently. Really? Why differently? Because the entire episode has become a hassle that threatens to mess with your presidential campaign? Or was the decision just faulty judgment? Was the decision to go outside the regular email system just another decision like what to wear to the office or what to have for lunch? Clinton seems to suggest the decision received about that much consideration. But her explanation – or her expression of regret in doing it the way she did – doesn’t wash.
“At the end of the day, I am sorry that this has been confusing to people and has raised a lot of questions, but there are answers to all these questions,” Clinton told NBC’s Andrea Mitchell in one of her very rare sit down interviews. “And I take responsibility and it wasn’t the best choice.” Clinton added that she used a private email set up when serving as a United States senator and just didn’t give the matter much thought. She should have and on that point judgment turns. The only really plausible explanation for the private email is that Clinton did not want prying eyes to see her electronic communication. She can’t – or won’t say it – but that is the only reason for doing what she did and for creating one of the greatest self-inflicted political wounds in modern presidential history. In the whole wide scheme of things, Clinton’s email issue may turn out to be a tempest in a crock pot – we still haven’t seen all the emails and probably never will – but as a glimpse into how a possible president of the United States makes decisions and evaluates issues it’s a picture window. Secrecy, legal arguments attempting to cover political problems and a raging sense of entitlement explain much of Clinton’s 40-plus years in public life. The email server is just the latest Exhibit A. Consider what Clinton might have done and chose not to do when she left the State Department. She might have joined a prestigious university and lectured on international relations. She might have landed at a think tank where she could have penned her memoir and readied for another campaign for the White House. She might have emulated Jimmy Carter and humbly undertaken something like his global work for democracy and human health. The Clinton family foundation is certainly doing some impressive work, but Hillary is most directly connected to the foundation’s frequently questionable fundraising. Not three people in a hundred could tell you what the Clinton Foundation has actually done other than raise money enrich the principals. The questions that surround the foundation’s money raising, particularly when that fundraising involved a once and future presidential candidate, were as predictable as the continuing questions about her emails ands servers. Clinton either missed the likelihood of scrutiny and scandal surrounding the Clinton Foundation or she simply decided the millions she collected in speaking fees and foundation contributions were a price to be paid to enjoy a personal income that permitted her and the former president to recently plunk down $100,000 for a two week vacation rental in the Hamptons. Whatever you make of the high dollar talks and foreign contributions to the Clinton Foundation, it’s clear the candidate chose the one path in her post-State Department career that was absolutely certain to bring her grief and scrutiny as she pursued the White House. Clinton chose to parlay her celebrity and contacts in order to cash in, when good taste, ethics and better political judgment might have counseled a much different approach. Arguably the biggest, most consequential vote Clinton cast in her single term as a senator from New York was to authorize George W. Bush to take military action against Iraq in 2002. That vote went a long way to costing her the Democratic presidential nomination in 2008 when candidate Barack Obama brought up the subject time and again. It was then and remains today a judgment call that Clinton got wrong. “I made it very clear that I made a mistake, plain and simple. And I have written about it in my book, I have talked about it in the past,” Clinton said in May while campaigning Iowa. But in fact she persistently avoiding calling her vote a mistake until after she had lost to Obama and only admitted the error in judgment when, one suspects, she was again thinking about another bid for the White House. Judgment is a funny thing. You know it when you see it. Lyndon Johnson pushing for voting rights legislation in the face of bitter opposition from southerners in his own party was not just a display of political courage, but an example of practiced political judgment. Escalating the Vietnam War was just the opposite. Ronald Reagan confounding conservatives in his own party on arms control, Harry Truman recognizing the State of Israel at the first possible moment and John Kennedy overruling his generals during the Cuban missile crisis are examples of judgment exercised in critical and enduring ways. It is what president’s do and what we hire them to do. Hillary Clinton has a resume and history going for her. Her recent and enhanced appeal to woman voters still constitutes the real rationale for her candidacy. She may make it all the way, particularly given the opposition. Questions about her judgment may give way to loftier things, like whether the nation, at long last, is ready to embrace first woman in the Oval Office. But as summer turns to fall and the interminable campaign stumbles forward, Clinton stumbles right along limited in her ability to talk about real issues, while she deals with he judgment calls from the past. Clinton’s most talked about television commercial from her 2008 campaign now strikes a sharp note with those of us who think she has a judgment problem. You may recall that commercial – a ringing telephone at 3:00 am with a voice over ominously suggesting that the person who answers a middle of the night call in the White House must be sober and experienced. The message, of course, was the Clinton was and Obama wasn’t. That really is the point and also why Clinton will continue to struggle to convince voters that her judgment is up to the job she seeks. Ironically, all of Clinton’s big problems – the email mess, her post-State Department speaking career and her vote on war with Iraq – are not issues manufactured by her legion of opponents. These are unforced errors, the worst kind in politics and almost always the product of a lack of judgment. — Donald Trump quoted by Politico on Jeb Bush’s latest attacks. Suppose you were an idiot and suppose your were running for president, but I repeat myself. OK, I appropriated that line from Mark Twain, but it so perfectly captures the Summer of Trump and besides I couldn’t help myself. Over our long summer of political discontent focused on “anchor babies,” insults aimed at “losers” and women who bleed, well, let’s don’t go there, the vast Republican field of presidential candidates has allowed a low-class real estate developer whose only high office has been in one of his tacky office buildings to repeal the essential rules of politics. Maybe the cooler fall temperatures have finally caused them to wake up and stop the madness. Jeb Bush – low energy or finally fighting back? It’s reported that the “low energy” Jeb Bush, the one-time GOP frontrunner and former governor of Florida, has finally decided to take off the kid gloves – they must wear them up at the Bush estate in Kennebunkport – and start hitting back at the man who has been “emasculating” him for weeks. “Look, Jeb Bush was a very successful governor,” says Republican strategist Steve Schmidt, “he’s a thoughtful man, he was a good, conservative governor. But every day, Donald Trump is emasculating Jeb Bush, and Republican primary voters are not going to default to the establishment candidate who is being weakened by these attacks that go unresponded to.” Bingo. At least since June most of the Republican field, and many observers (yours truly included) have maintained that Trump’s half-life as a contender would last about as long as his hairdo in a windstorm. But the big boor kept on boring, tapping into the deep resentment and, of course, nativism that has come to define those who populate the outer planets of the GOP solar system. In retrospect it should have been obvious that someone in the massive Republican field would vault to the front of the pack by channeling the anger that has fueled so much of the over the top opposition to Barack Obama for the last seven years. Trump, as my father use to say, may be crazy, but he isn’t stupid and he has tapped that deep vein of resentment, even hatred, directed toward Washington, immigrants, the Kenyan-Muslim president, Wall Street, organic food and, who knows, maybe even Megyn Kelly. She is a card-carrying member of the elite, after all. Until Jeb Bush realized that “staying under the radar” was a political path back to forever being referred to as the younger brother who couldn’t cut the Republican mustard, Trump has completely dominated the political summer. He did so because he is different, which is more than just loud and offensive. He has ridden the crest of a wave of mostly white, middle class resentment about a country that is changing rapidly in a way that many Americans must find downright scary, even scarier than a bloviating real estate developer. As numerous commentators have pointed out, Trump is just the latest incarnation of the “outsider” in American political history, the out sized personality willing to rhetorically attack the status quo, while offering little more than fire, brimstone and bluster. George Wallace played the part in 1968 and later. Huey Long in the early 1930’s did the same. Long was probably never a serious national threat to Franklin Roosevelt, but for a few brief moments in 1934 and before his death in 1935 he must have seemed a real threat. Ross Perot, Henry Wallace, Jesse Ventura and a host of lesser names have regularly appeared to appeal to the thirty percent or so of Americans who are always really pissed off about something. What has been different with Trump is his mastery of the new tools of political communication and, of course, that the American public has never been subjected to such a full-fledge narcissist for such an extended period of time. Talk about different. Trump has been able to sustain his summer run with crude but effective marketing skills, four-minute hits on cable television, late night tweets that become early morning headlines and lately Instagram mini-commercials that may have been the catalyst convincing Jeb to jab back. Every Trump tactic is just like the man: over the top, mostly devoid of fact, nasty and guaranteed to generate lots of attention. That’s the point – attack, attack, attack. Trump’s aggressiveness on the offensive – both meanings – makes General Grant in the Wilderness Campaign look like a low energy loser. One of the oldest rules in politics is that the attack gets the attention, while the major policy speech gets ignored. Trump understands that rule and has been on the attack constantly since he joined the Republican race. Another old rule, especially true for Jeb Bush, is the fact that any political attack gone unanswered is an attack believed. When Trump repeatedly refers to Bush as “low energy” – essentially a wimp – and a “loser” who is “weak” he is really attacking Bush’s character rather than his policy positions. It’s a brilliant strategy that Bush had better match tweet for tweet. So put me down in the camp of those, like Steve Schmidt, who think Bush had no choice but to get down in the hog swill with Trump. His task is very complicated, however, because of the dynamics of the Republican electorate. Bush wants to pull some of those thirty percent or so of really unhappy Republican voters over to his cause, but even more realistically he needs to present himself as a tough, decisive alternative to the loudest mouth in the race. Bush’s strategy of going after Trump is right, but the quality of his message and execution of his plan will determine if he has enough of the political attack dog in him to make the strategy work. I have my doubts. Bush’s first major push back against Trump was ripped from the oldest and moldiest Republican playbook. Bush called The Donald a “liberal” and highlighted the nice things Trump has said over time about the Clintons. If Trump were a conventional politician that line of attack might have some legs, but the issues with Trump aren’t based on policy or anything that has to do with facts and reason. The disaffected won’t quit liking Trump because he got Hillary to his latest wedding or has had more positions on abortion than he had neckties. The Republican Party might reject him, however, if he starts to be seen as lacking in the essential quality that measures the ultimate success of any American president. It’s all about the guy’s character. Bush needed to get under than mop of orange hair and tweak – and tweet – The Donald’s outsized personality, his enormous ego and his inability to let any slight go unanswered. Trump is the grade school bully who couldn’t be stopped by appeals to reason or by complaints that he broke the rules or by tattling to the playground teacher. You have to shame him and call him what he is – a man whose ego and self-regard are so outside the realm of normal human interaction that he is dangerous, to himself, the Republican Party, the country and more. Belittle the man where it hurts him the most: his mattresses are uncomfortable, his ties are badly constructed (I’ve never had one, but I bet they are), the towels in his hotels are too small, he’s getting old and can’t chase younger women any longer so he’s decided to run for president. Trump would come back, of course, from such an attack with a discourse on how successful he has been, how rich he is, etc., but Bush will need to stay focused on the great man’s character, which even those who current support him must know is hardly a match for any president since Warren Harding. Bush is an inherently clumsy candidate who often seems unsure of what he wants to say or what he really believes, but the circumstances of the Summer of Trump and his declining poll numbers have now pushed him into a strategy he might have wisely adopted weeks ago. Trump reminds us that attacking is often succeeding in politics and he who would attack also needs to defend. Bush had better jump in with both feet and start landing some haymakers. Such are the moments that define candidates. Can Bush be a better retail politician than he has been? Is there any fire in that gut? Is there any ‘there’ there? With regard to Trump, can he finally find a language to point out what most of the country already knows? Sometimes you just need to call the schoolyard bully a jerk and hit him upside the head with your lunch box.